ColecoVision.dk Homebrew Section Presents: Kevin Horton. Kevin is in addition to programs for ColecoVision also a clever gentleman to exploit for Atari 2600 and Atari Jaguar. He has, among other also modified joysticks for the Intellivision System. 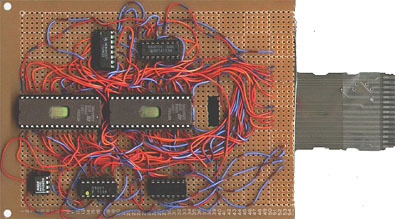 Kevin was one of the first to program a game to ColecoVision, namely Kevtris. and the game was released in 1996. 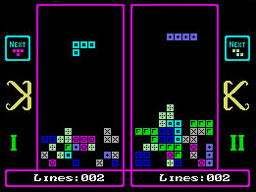 Kevtris used only character graphics, because Kevin couldn't figure out how to use sprites at the time. But an MSX programming manual learned him later how that worked. There are Produced 100 cartridges of Kevtris, and there are no plans to ever publish more. Kevin is also good with electronics, he has made a ColecoRAMcard. A Card designed to test a game before they come through to a possibly Emulator. 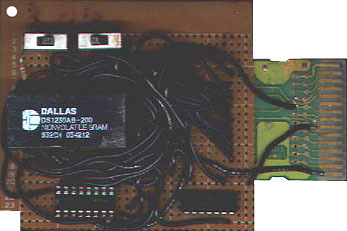 This RAM circuit board was also for testing of Kevtris. He also made a so-called multicart from scratch, without switches. direct plug n play. This one is a prototype. To get in touch with Kevin, try this: e-mail.